2018 MASK UPGRADED - BETTER MASK SHEET USED, MORE ADHESIVE AND BETTER ABSORPTION! Please take note it comes in a box of 5 pieces. 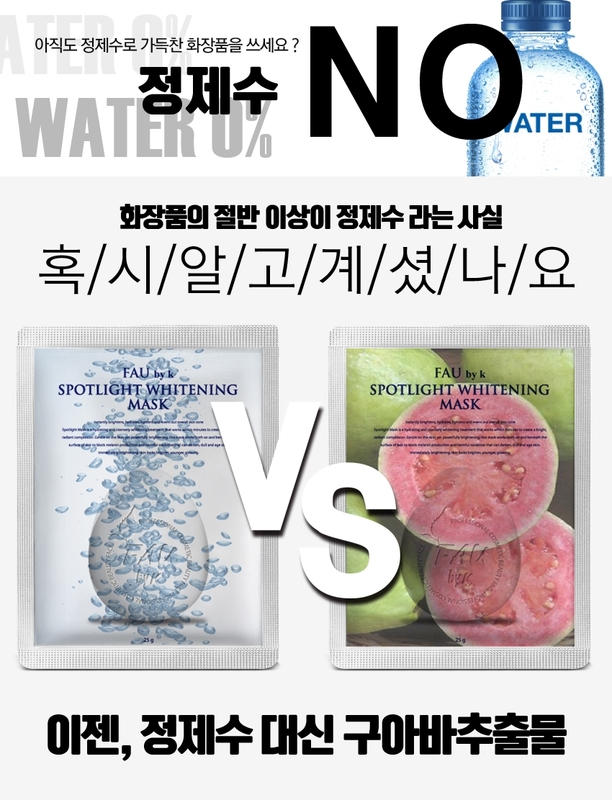 The fascinating thing about the Spotlight Whitening Mask is that it uses guava fruit extract as the base instead of the conventional purified water. The natural vitamins found in guava extract is known to help improve your skin condition alongside that vibrancy and glow. 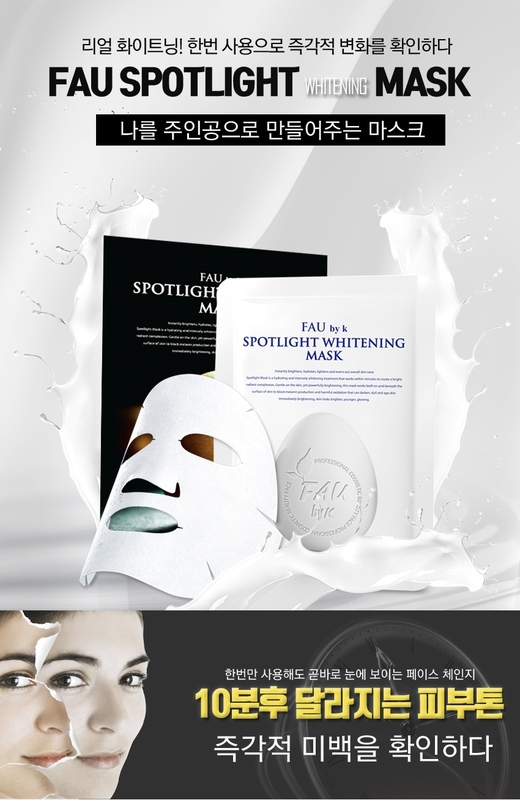 The greatest thing about the Spotlight Whitening Mask is that it uses natural ingredients and doesn't irritate sensitive skin. Instantly brightens,hydrates,lightens and evens out overall skin tone. Spotlight mask is a hydrating and instesely whitening treatment that works within minutes to create a bright, radiant complexion. Gentle on the skin, yet powerfully brightening , this mask works both on and beneath the surface of skin to block melanin production and harmful oxidation that can darken, dull and age skin. Immediately brightening, skin looks brighter, younger, glowing. Open the pouch, fit the face mask onto the face. Recommend 2 times a week, place on clean face for 10 to 20 mins! See Korean Top Beauty Influencer Yoojin's review! The effect of "Tone Up" is really good, it is a must for Korean celebrities and models. *Tone Up* means that the skin tone is naturally brightened by the skincare products. This is really trendy in Korea now. We provide 24 hours support, simply contact us for any Before or After Sales Service. All of our products are direct from brands' HQ, with no middleman, ensuring 100% authenticity and longest expiry dates. Ordering from Stellar K-Beauty is 100% safe and secure so you can rest easy. Your personal details are never shared, sold or rented to anyone either. Please allow 2 - 5 working days for your order to arrive for Singapore addresses and up to 18 working days for overseas addresses. We also have Same Day Delivery Options for Local Orders, simply top up S$7.50 and order before 5pm daily to get your item on the same day. I've received an incorrect/defective item, simply contact us and send your item to our returns centre for fast processing. We'll get you a replacement or refund in a snap!